A Colorado Senate committee on Wednesday killed a bill that would prohibit therapies that attempt to alter the sexual orientation or gender identity of LGBT youth. House Bill 1156, introduced by Democrats Stephen Fenberg in the Senate and Paul Rosenthal in the House, was postponed indefinitely by the Republican-controlled State, Veterans & Military Affairs Committee with a 3-2 vote. Two similar bills have previously died in committee in the Senate. 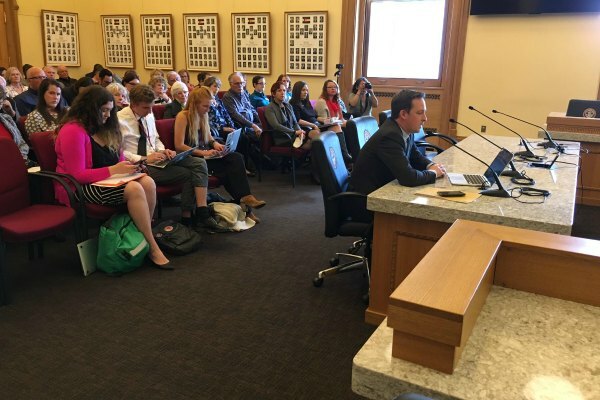 “Despite the fact [that] nearly all of the leading mental health organizations in the country, and in Colorado, reject the practice of conversion therapy, the Republican members of the committee chose to disregard science and the heartbreaking, emotional stories of those who came to testify in support of the ban,” Reinsch said in a statement. The move comes less than two weeks after the House approved the bill.